Our advanced cleaning products and equipment will guarantee the restoration of any residential or commercial building. Our phone lines are available 24/7 at (503)376-6666 to respond to your call when you need it most. We are able to provide emergency disaster and restoration services in Hillsboro, OR and the surrounding communities. As there are many different sources that can contribute to water damage, this type of disaster is one of the most common of all. In addition, it is also one of the most likely to spread as prolonging treatment can continue into mold growth. Especially for porous building materials including drywall, wood, and insulation, the spread of damage is accelerated. However, RestorationMaster provides exception water extraction and flood cleanup services in the Hillsboro, OR area. Our technicians will ensure that all contents and building materials will be sanitized and cleaned thoroughly. Finally, with our 24/7 availability, we are able to restore the damage quickly and effectively for all homes and businesses. Dealing with sewer backups is never a fun task. 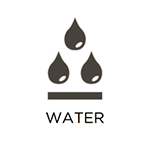 Unlike regular water damage, this water contains many harmful bacteria and possibly disease-causing pathogens to severely threaten the health of you and your family. When this occurs, you should never attempt to clean this yourself. This requires a licensed, professional restoration and cleaning company that will safely extract the water without spreading the damage. RestorationMaster is available 24/7 to provide emergency sewage cleaning services in the Hillsboro, OR area to effectively remove the water and restore the damaged area. Our technicians have years of experience and training to use the latest products and equipment to completely disinfect, sanitize, and dry the affected building materials and content. We will also move any furniture and upholstery away from the affected area for proper cleaning. However, it is essential that the air conditioning unit, heat, or dehumidifiers remain on during the process to allow for efficient and effective drying. Finally, we work with insurance companies to handle the claims process to allow you to focus on family matters during the restoration process. Now you can return to a safe and sanitary environment without worrying about dangerous bacteria lingering on your property. 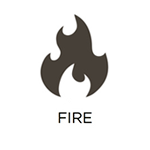 As fires can start small and grow quickly, these types of disasters are especially dangerous. It is commonly thought that the flames will cause the majority of the damage, burning and charring all materials in its path; however, it is actually fact that the majority of the damage is derived from the smoke and soot left behind. In other words, after the flames have been extinguished, these corrosive byproducts will cause etching and tarnishing to all affected materials. However, RestorationMaster provides quick and efficient fire damage repair services in order to not only limit the damage but restore all affected materials. Our specialists will also provide smoke odor removal and pack out services if the restoration work cannot be completed on the property. As the damage from a property fire can be severely detrimental, the majority of damage is actually caused by the smoke and soot particles long after the flames have been extinguished. This makes emergency treatment crucial in order to limit the spread of damage and have your property and contents restored as soon as possible. RestorationMaster is available 24/7 to provide emergency soot and smoke damage repair services in the Hillsboro, OR area to not only prevent the damage from spreading but eliminating the risk for permanent damage to occur. Our technicians undergo advanced training in order to remain updated in all of the latest cleaning trends and techniques. They also use the latest equipment, products, and methods to continue providing the highest quality services in the area. Whether the fire has been contained within a small area of a residential building to damaging a large commercial building, our technicians are prepared to provide quality cleanup services for all buildings for both families and businesses. Finally, we will assist in the claims process to eliminate as much stress for you as possible. As mold has the potential to start out small and grow quickly, it can be one of the most damaging types of disasters. Although the spores are a natural presence outside, they can still pose negative health effects for you and your family. In addition, it will only require moist conditions as well as a proper food source in order to grow. 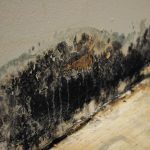 Any porous materials, including sheetrock (drywall), wood, and fabrics that contain a high moisture content would also provide a perfect breeding ground for mold. However, RestorationMaster uses advanced products in order to eliminate mold at its source in addition to preventing it from returning in the future. 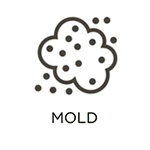 With our mold removal services, you can be sure that you and your family are safe from these harmful bacteria. It can be extremely disappointing to return to your property right after it has been restored that a strong odor is still lingering from the damage. While this can be derived from smoke, water, mold, or other types of damage, it can also contain harmful pathogens or bacteria that can cause negative health effects. This will especially affect those living with allergies or respiratory issues; therefore, it must be removed as soon as possible. RestorationMaster provides effective deodorization services in the Hillsboro, OR to not only remove the odor, but its source as well. Our technicians use the latest products and equipment in the industry, including thermal fogging, Nano-carbon technology, hydroxyl technology, and more to remove all traces of the foul smell. They also attend frequent training meetings in order to remain knowledgeable on the latest cleaning trends and techniques. As we service both commercial and residential properties, we are also able to remove odors from homes and buildings of all sizes. Call us today to see how we can get that foul odor out of your home. Fire, water, or mold damage will certainly not make an exception with your personal belongings when causing destruction to your home; in addition to the building materials, your personal content will need to be restored as well. RestorationMaster provides content cleaning services in order to effectively restore your household items from fire, water, and even mold damage. Keep in mind that the sooner you call us, the chances are higher to restore these items before the damage has spread too far. However, if the condition of your home does not permit us to restore your content on-site, we will gladly provide pack out services. They will be safely transported to our facility for the restoration process and delivered to your door as soon as the work on your home or building is complete. 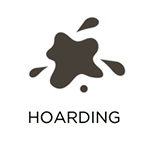 Due to increased research of the hoarding disorder, we have been able to improve our hoarding cleaning services for affected individuals. As there are various symptoms associated with the disorder, anxiety is one of the most prominent as it will cause difficulties with the individual to part with any of their belongings. As the accumulation of belongings continues to grow over time, it will turn into a hoard, eventually creating dangerous conditions within the home. However, RestorationMaster takes a compassionate approach to hoarding cleaning in which we will work with the individual in determining what items will be kept and others that will be thrown away. Our specialists are equipped with advanced products and training to handle hoarding cases of all sizes. As carpeting takes part in the aesthetics of a room, it is essential that it looks clean and in good condition. However, it is also one of the most highly used furnishings in the home as it sustains daily foot traffic. It is prone to dirt and debris in which is carried from shoes and pets. As the dirt builds up within the fibers, it can cause deterioration to the fibers. But RestorationMaster provides effective carpet cleaning services in which not only remove the embedded debris, but restore its new look and feel. Our advanced methods and equipment are able to restore carpeting of all sizes to residential and commercial buildings. Damage can come in any form or size. That is why it is best to be prepared at all times when a disaster strikes. But when this damage leaves your home or building in an unstable condition, it is imperative to call reconstruction services right away. Natural disasters, including storms, tornadoes, earthquakes, floods, and even vandalism can cause a substantial amount of structural damage. RestorationMaster provides reconstruction and home remodeling services in Hillsboro, OR. 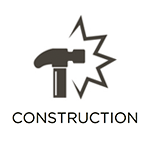 As our services are available 24/7, our construction team will come out immediately after receiving your call in order to stabilize the damage while developing a plan to restore your home or building to its previous condition. Finally, you can rely on our services to ease your stress, ensuring that your home will be repaired efficiently and effectively. While it is unfortunate that some companies do not clean the property after providing reconstruction services, the aftermath left over can pose dangerous safety and health risks. Any nails and screws left on the floor can cause injuries while any sawdust particles can trigger severe allergies and asthma issues. For small rooms and apartments, the cleanup job may be easy, however, for commercial buildings and large houses, you will need some more help. RestorationMaster is available to provide post construction cleanup services to the homes and businesses of Hillsboro, OR. Our staff has years of experience in fully clearing away all debris and cleaning all building materials. With our services, you can guarantee that your property will be fully cleaned and restored to provide a safe and healthy living environment once again. Everyone can agree that natural disasters are one of life’s most devastating events, causing an overwhelming amount of damage that can take weeks to repair. But when they leave properties on the verge of collapsing, immediate action must be taken to stabilize the structure. RestorationMaster is available 24/7 to provide emergency board up and tarping services to the homes and buildings of Hillsboro, OR before restoration and reconstruction services arrive. Our technicians have years of experience and training to respond immediately and focus on the areas with the least support to properly secure the property structure. We will then begin restoring and reconstructing to return the home or building to its original condition as quickly and efficiently as possible. Our technicians will also work with your insurance company during the claims process to allow you to focus on other matters. Disasters that occur on professional sites often wreak havoc on the affected business’ bottom line. 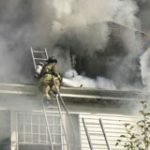 This is because buildings, equipment, and furnishings must be replaced, and operations are slowed or stopped altogether. RestorationMaster provides complete commercial disaster restoration services to companies in Hillsboro, OR, to address this. Our 24 hour availability means that we can limit damage through a swift response, and begin restoring your property right away. By leveraging our state-of-the-art equipment, methodologies, and expertise, we will leave your property in a suitable condition both efficiently and effectively.